A helmet is a good and almost indispensable investment whether you are a beginner or a professional snowboarder. Just like you will need to protect your feet and other parts of your body, you also need to protect your head from injury. A helmet helps you get up and get going even after your head experiences impact. Fortunately, helmet manufacturers too have managed to keep up with emerging technology. The most current and obviously the best snowboard helmets have taken care of impact absorption, ventilation, and adjustability issues by integrating features like removable chin straps which also double up as a board lock. 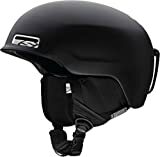 Also note that snowboard helmets are quite different from both the skateboard and bike helmets in design and functionality just like hiking boots are different from running shoes. 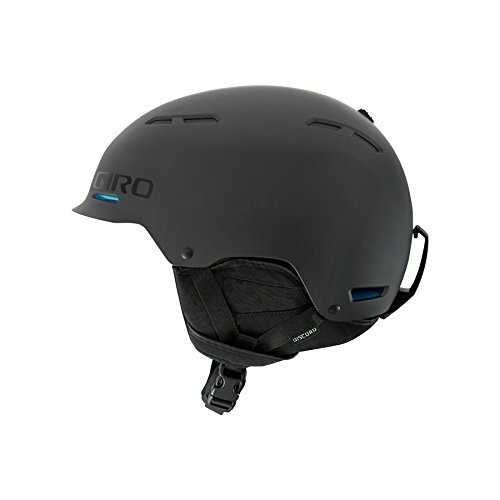 Snowboarding helmets are designed with unique features like moisture wicking liners, coverage of the ear and materials that are sensitive to temperature. A helmet that’s too tight is uncomfortable just as much as a loose one is unsafe because it could easily slip off in the event of a crush. Therefore, ensure that you first try out a helmet to be sure that you are getting one that fits right and is comfortable. Because your goggles are a determining factor when selecting a helmet, consider having them on when trying out any helmet. Check that there is no gap between the goggles and your helmet as this may interfere with your vision. When getting the right fit, take the measurement of your head’s circumference by placing a tape measure around the ears and an inch above your brows. Match this against the helmet chart to get a size that fits your head. Most helmets are made of expanded polystyrene (EPS) foam. This foam is designed separately from the outer shell that is a high impact ABS plastic and these represent the most popular helmets since they are durable and can withstand knocks and falls. The second type is the in-mold helmet that is made by attaching the outer shell to the shock absorbing material on the inside and molding them together in a single process. These helmets are far lighter than the EPS helmets only they are not slick. Vents facilitate the circulation of cool air within the helmet. While some helmets have removable plugs that will require the user to take off the helmet and adjust airflow, others come with an instant airflow regulator by simply pushing an integrated lever. If you like customizing the warmth you need at different stages, consider having detachable drop liners and ear pads. Additionally, a removable liner makes a helmet clean and fresh as it can be washed easily after a great day on the mountain. While most helmets allow users to attach them directly to goggles, they have different ways of connecting hence you need to read the instructions or consult before you get a helmet or a board in case you did not get them together. Some helmets come with a built-in camera. Cameras that can be mounted on the helmets are great add-ons. The Lenox is a perfect snowboard helmet for ladies in search of a sense of style in addition to assured safety while on the snowboard. This helmet made using EPS technology is certified for snowboarding. It is constructed with an ABS shell and lined on the inside with EPS foam certified by ASTM F 2040 and EN 1077 B for snow conditions. This makes it light on your head at just 1.1 lb (500 g) and a good option if you are considering riding in serious snow conditions. The ABS shell is tough enough to withstand and absorb all impact in the event of a hard fall. Unlike other ordinary helmets that merely sit on the head, Bern Lenox is conveniently designed to sink in; fitting lower on your head for maximum protection and this is arguably one of its selling points. 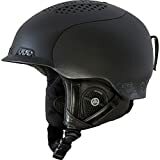 This snowboard helmet is designed with a knit liner based on the BOA technology hence will provide the required fit on your head with simple dial adjustment. Their winter knit liners are also removable hence can be used throughout the year. 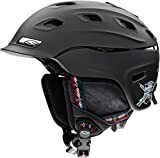 Other features will certainly appreciate in this helmet is the ThinShell technology used to create an excellent balance between the hard ABS shell on the outside and the Soft EPS foam on the inside. It is also designed with two positions for the Google clip that’s screwed at the back and an adjustable chin strap. The Unisex Vantage Snow Helmet by Smith Optics a brand that has stood the test of time, details a high level of user safety, integration, and a great helmet fit. This helmet is a product of hybrid shell construction of ABS shell on its upper part and a lighter in-mold shell that covers the sides and the back. The inside of the helmet’s design is based on the Aerocore structure, which combines EPS and Koroyd technologies with the latter made from extruded tubes intertwined to resemble a honeycomb which will actually be the bearer of impact in the event of a crush reducing the impact and risk of injury to your head significantly. The Boa 360 is the system used on this helmet to ensure a great fit. This includes a dial at the neck for easy chin strap adjustment and removable ear pads for comfort. Also, consider the wide variety of goggles by the same brand for an excellent integration of your set up. The Airevac ventilation system made up of two regulators to increase airflow by exposing Kkoroyd tubes and internal channels to receive cool air and expose hot air is great for regulating airflow within the helmet. This helmet is also ASTM F 2040 and EN 1077B certified for snow and is lightweight at only 1.1 lb (500 g). The Giro discord snow helmet is perhaps the best Snowboard Helmet for men who intend to expand their options for freestyle and backcountry terrain snowboarding. It comes with the innovative half-shell design and is CE EN1077 certified for safety. With a soft Shell construction of two layers of high and low-density vinyl Nitrile foam liner on its inside, this helmet is a great option for multiple small impacts as well as high impacts. This interior construction is also quite flexible to let you have maximum comfort. Quite surprisingly, with its construction focused on softness, we found it to be quite durable. With an easy-to-use control button on the helmet’s exterior, controlling airflow is a breeze thanks to a thermostat integrated into its design specifically for efficient regulation. Again its stack ventilation system will keep your goggles free from the fog that typically forms when warm air is released and this causes a blurred view and an increased risk of accidents and injury. For efficient inflow of fresh air and outflow of stale air, the Discord makes use of Super Cool™ vents which also facilitated core temperature regulation. Adjustability is certainly a feature that tops the list of many users and it has not been overlooked here. With the self-adjusting Auto Loc™ 2 Fit System fitted with an elastic back band, it is quite easy to strap your head securely to any of the three pre-set circumferences. Included in this package is a removable Goggle retainer plus you will definitely appreciate this helmet’s compatibility with all Giro Goggles and Giro audio systems. The Demon Phantom Helmet is one of the snowboard equipment sure to meet your expectations. For starters, this helmet is light and vented too at the back and front to allow effective flow of air to keep you cool throughout your ride. Its construction is designed by a unique combination of the tough ABS shell on the outside and EPS foam core on its inside for durability and for protection from impact. Its padded neck is another feature that makes the Demon Phantom Helmet stand out as it offers riders a very comfortable fit. With both ASTM and CE 1077 certifications for snow conditions, this helmet makes a great option. Its package includes a Brainteaser Audio designed innovatively by integrating earphones and a cord into its removable liners. In addition, its cord comes designed with a volume control element for ease of managing your MP3 or iPod player volume. What’s more, the Brainteaser audio is compatible with all helmets by Demon. Demon Phantom Helmet is available in several cool color options if you’re keen on preference and comes together with free Balaclava face mask and an inbuilt ear pad for the audio. The Smith Maze adults ski helmet falls among the high-performance helmets suitable for the aggressive snowboard rider. Aesthetically, it comes in a trendy design that will without doubt charm you if you love a helmet with that reflects your boldness and personality. Away from its appearance, this helmet is sturdily built in a hybrid design combining the tough ABS outer shell fixed with 13 well-positioned vents at its front, back and top and a lightweight in-mold technology. The vents make use of Smith’s own AirEvac 2 ventilation system that facilitates constant airflow with warm air exiting from the goggles through the vents. Internal airflow is easily adjusted using the Regulator Climate Control System integrated into the helmet’s design. Because Smiths has ensured a seamless integration between its helmets and goggles, this specific model comes fitted with a removable goggle lock for easy removal and attachment of your selected goggles. Finally, the self-adjusting fit system caps the equation of convenience by making it easy for you to adjust your helmet to a perfect fit. Important additional features include an audio compatible ear pads. It is also beanie compatible so no worrying about the biting cold. The Anon Prime helmet is a worthwhile investment for you if you are into backcountry adventure. It employs the Multi-directional Impact Protection System (MIPS) the best in providing safety for your head. Quite uniquely, the Anon Prime MIPS helmet embraces advanced ICEdot technology so that in the case of an emergency, the helmet will not only provide the immediate responders with your crucial medical information but will also send to your emergency contacts your exact location. Its design features the hybrid ABS shell on its exterior and EPS liner construction on the inside for optimal protection and impact absorption. And with 23 vents in addition to specialized airflow channels that are compatible with goggles, this helmet obviously takes ventilation to the next level. Finally, this helmet is easily adjustable thanks to the 360° BOA Fit system that allows for micro adjustments by simply turning the dial. It also comes with removable earflaps, an expedition fleece liner for added warmth, and Fidlock Snap Helmet that uses a magnetic snap for a quick and simple securing of your helmet. Finally, the MIPS helmet is compatible with audio accessories if you love the music on the go and complies with the 1077-B and ASTM 2040 alpine ski and snowboard safety standards. The K2 diversion ski helmet is a 50/50 hybrid of In-mold and hard shell construction. Its performance and comfort are also enhanced by the combination of the low weight highly resistant shell that can withstand really high impact. A dual active matrix venting technology provides users with a two-level venting system that uses its 11 vents on top and at the rear of the helmet in a honeycomb design to regulate airflow with the simple touch of a button while the goggle vents work to clear the fog for an enhanced view. Additional comfort is enhanced by the removable and washable liners accessorized with an audio plug that further connects to a high-quality internal speaker on the ear pads. Together with a K2 Level 3 Baseline audio system incorporated on the helmet, you’ll definitely enjoy your music more. The 360 K2 Dialed Fit System is also featured in the liner and is designed with 3 adjustment points to deliver the best possible customized fit. The Diversion is compatible with K2 and standard industry goggles. Obviously, the best snowboard helmets will vary from person to person. Different brands keep upgrading their products to incorporate the latest of technology to the advantage of the user and you will need to confirm this with the stores’ consultants. Finally, there is no shortcut to physically trying out your helmet to get a right fit. Better take your time and end up with one worthwhile investment. Finally, there is no shortcut to physically trying out your helmet to get a right fit. Better take your time and end up with one worthwhile investment.